In cooperation with Nordic Travel we now offer individuals the opportunity to find tenants thru our channels. Do you have a house, cottage, apartment or room available? Earn some extra money while helping Rally Sweden become the national holiday it’s suposed to be. Rally Sweden is one of thirteen races held by WRC, The Word Rally Championships and the only winter rally of the competition. It is the biggest annual event in Sweden with roughly 200 000 visitors during its four days of festivities. The different stages of Rally Sweden are located around Torsby, Sunne, Hagfors and Karlstad including a couple on the Norwegian side of the border. Demand for accommodation is high all across these areas and especially around Torsby. How do I sublet thru Rally Sweden? Please note that if you have a rental apartment you need permission from your landlord to sublet. When you have completed this step you are automatically redirected to our accommodation service partner Alloggio, that is unless you already have an account there. After that all you need to do is follow the steps in the guide. Please provide a suitable rental period for your item and make sure to add pictures. Remember, a picture is worth a thousand words. 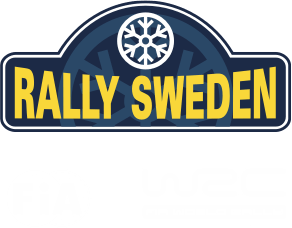 After completion it will take a couple of days before your item appears on Rally Swedens booking page. You can have several items tied to your account and managing them is a breeze. If you already have an account at Alloggio, or want to make changes to an existing item, log in here. If you need help registering or adding an item please contact booking@nordictravel.se or call +46 (0)8-409 06 405. Pro tips for getting your item leased. A benchmark is SEK 300 per person per night. If we assess the price of your item to be too high we will contact you. Remember that a surcharge will be added to the final price posted on the booking page in accordance with the intermediation agreement. Be flexible with the rental period. Rally Swedens main event days are Friday-Sunday but some people want to come early or stay after. Increase your chances of finding a tenant for your item by adding the option to rent by the day instead of by the week. Remember that it is your own responsibility to make sure that you have adequate insurance. Write a clear description of your item. Remember, you have nothing to lose by offering your item for rent. Just make sure you are clear with what you are offering and how many people you have room for. Pictures also dramatically increases your chances of getting a tenant. If you need inspiration, look at other items on the booking page. When adding the day-by-day price of your object, make sure to enter the total price per day, not the price per person.